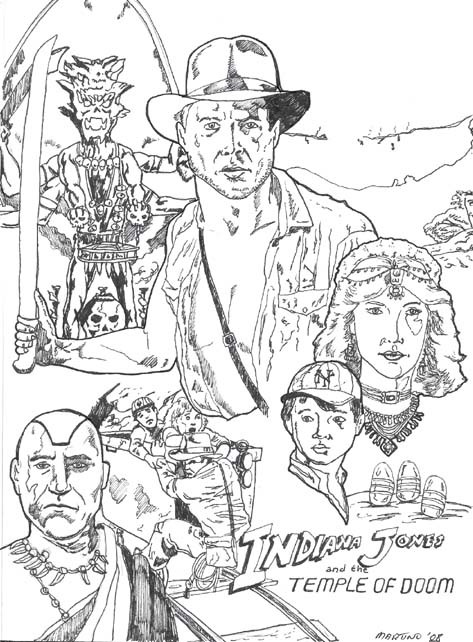 Clyde Caldwell (formerly of TSR) shares the art he did for the TSR Indiana Jones roleplaying game and add-on modules. 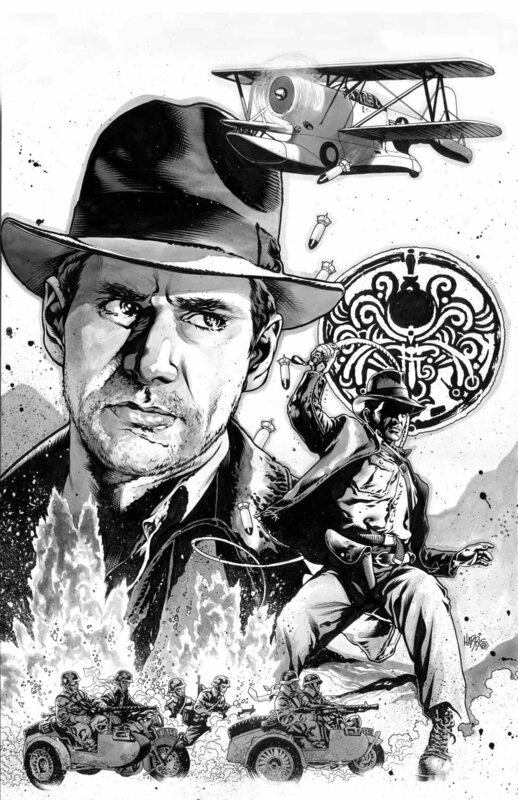 Tony Harris shares the cover art he did for the Dark Horse comic "Indiana Jones and the Tomb of the Gods" coming June 29th. 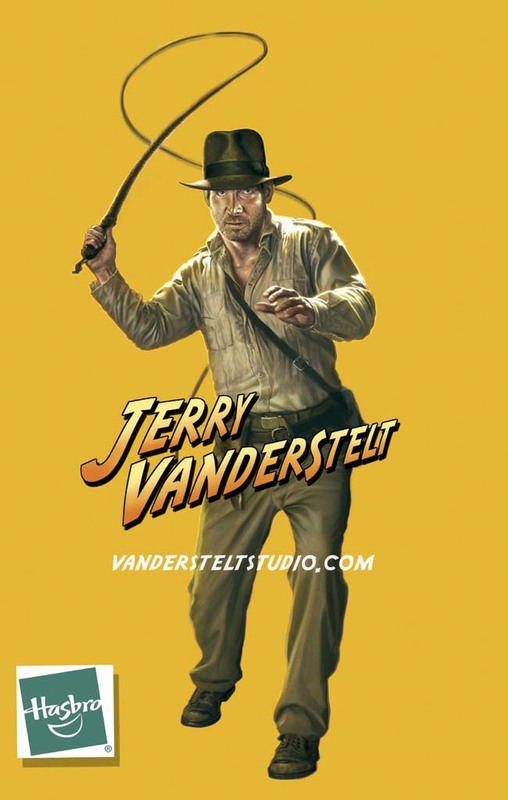 Jerry Vanderstelt shares some of his images he painted for the Hasbro upcoming toy line. 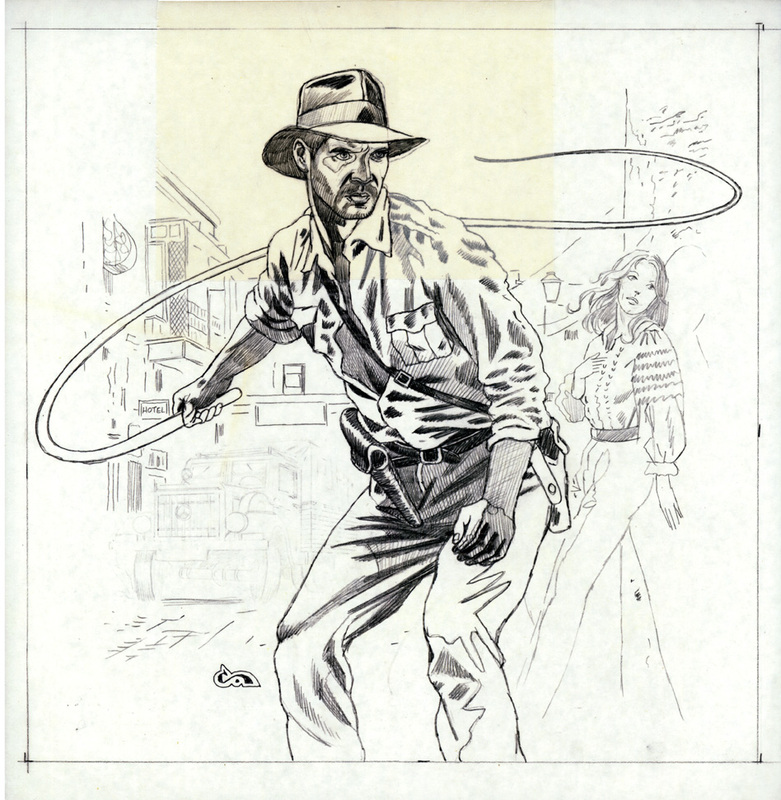 Atsushi Tanabe sends us another piece from his expanding portfolio of Indiana Jones sketches. A wonderful addition to our gallery by Atsushi Tanabe from Japan. Looks fantastic, wouldn't you agree? Two new additions today from Mark Martino. 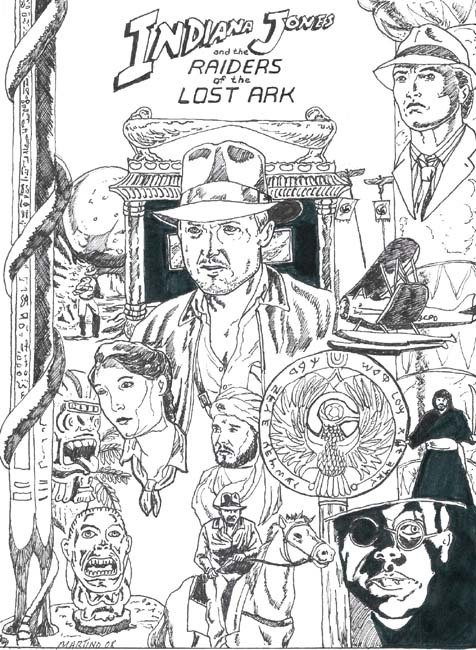 UPDATED: New page added to showcase Mark's many pieces. Is it that everone around me can draw and paint - except me! 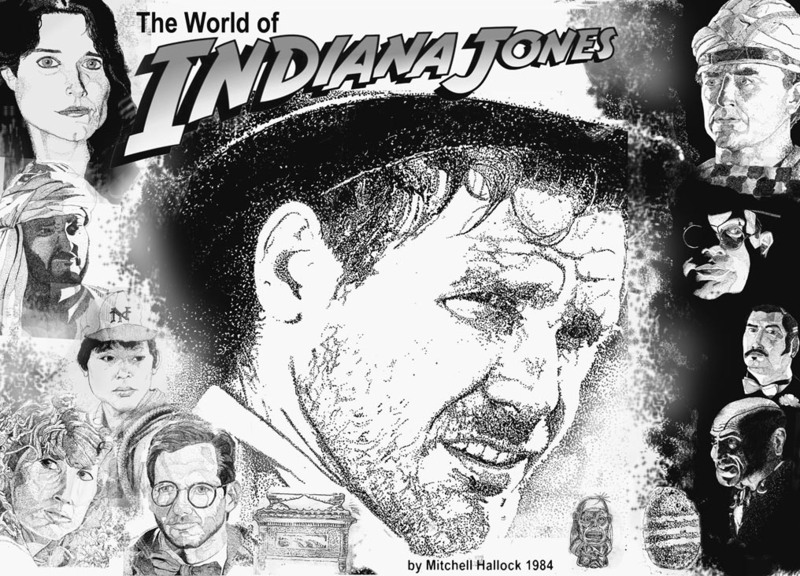 Check out this pen and ink by Mitchell Hallock that he began in 1984. 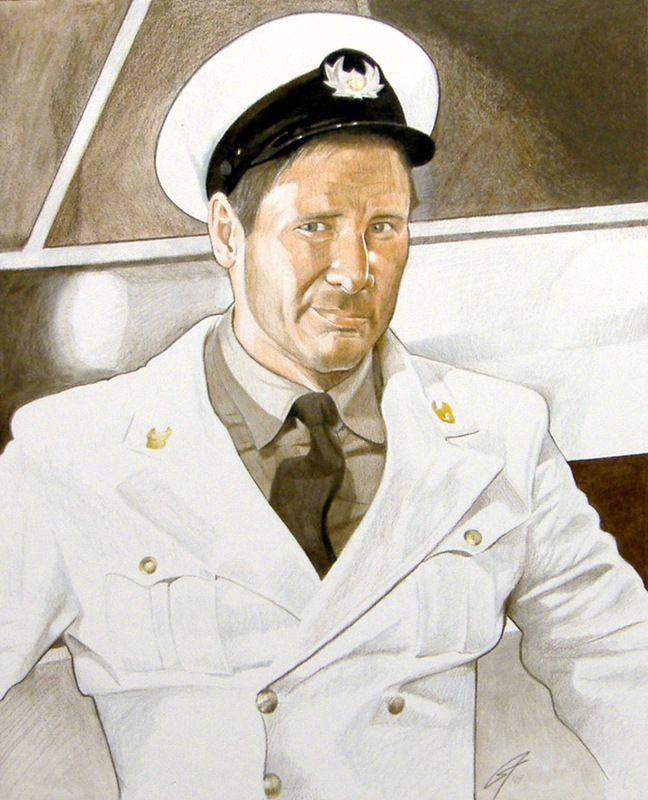 A wonderful surprise in my in-box today; a marker rendering portrait of everyone's favorite action hero. 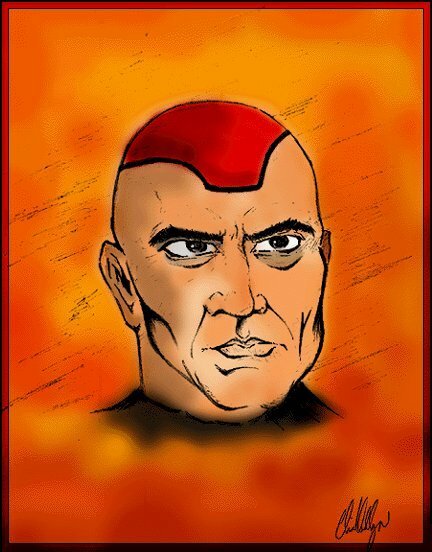 A big thanks to John Porubsky for this art piece. 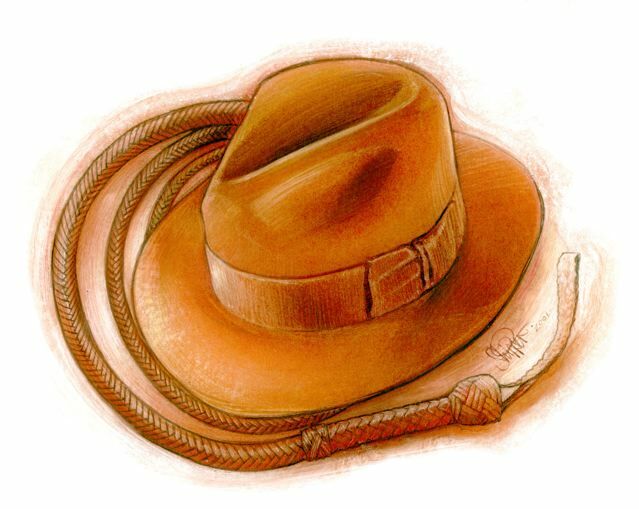 A new page has been added for works of Karen Hinson. We have a wonderful new submission from Jason Peltz. It is a hand-drawn piece, scanned and colored digitally measuring approx. 5x7 inches. 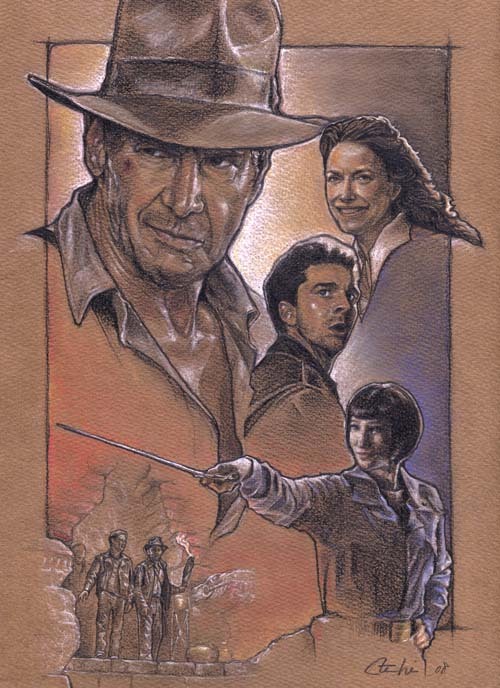 A new page has been added for the talented Steve Anderson. A new piece by Adam McDaniel to finish off 2007 with a bang. Adams adds "You can see how I did the painting on the this webpage". Thanks Adam for the great addition to our art gallery!! 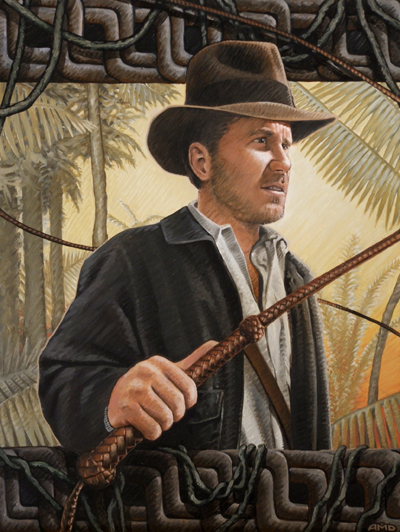 Another inspiring piece by Gabe Farber has been added to his page. 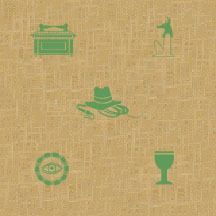 New commisions by Gabe Farber have been added to his page. I'm proud to say that I now own four of this talented artist's work. A new piece by Adam McDaniel. 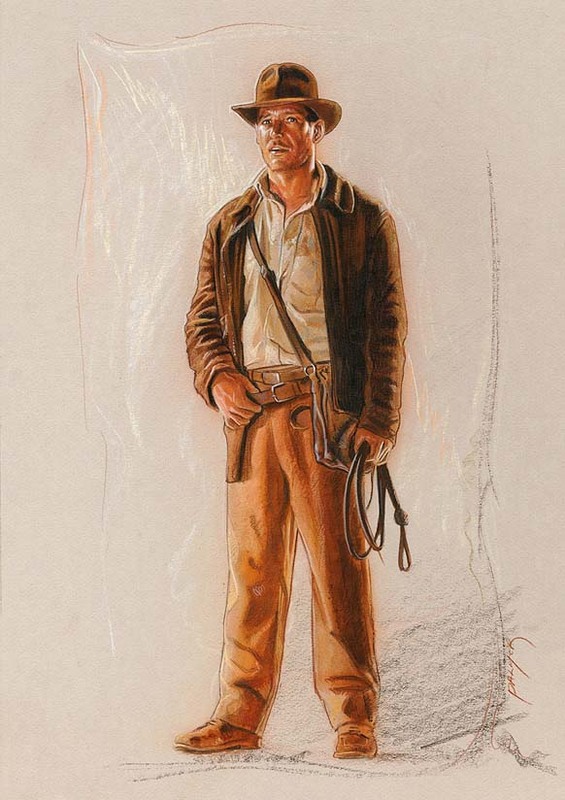 Adam writes "It's been six years since I last painted Indiana Jones, so over the past weekend I whipped up (sorry -- bad pun) some new artwork for your review -- a mockup "teaser" poster for the upcoming INDIANA JONES film." "Normally I'd spend a good week or month doing something like this, but this was a special drawing exercise with the intention of sketching, drawing, painting, and completing entirely within a 24-hour period. 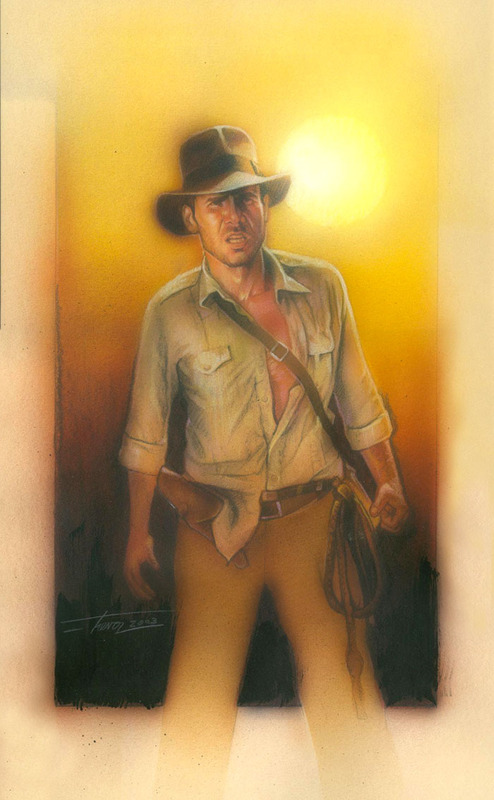 (thanks to an art class I took last year by none other than Drew Struzan!) I might do something a little more detailed and ambitious in the future, but for now... it's a "refined sketch". Look what I got for Christmas! My friend Trevor (one of the kind souls that is part of the construction crew on Ravenwood - and also the very talented singer/songwriter with Jet Set Satellite) commissioned this from a local artist - and she's only 16!! Justina Elias can be reached at justinaelias@gmail.com or you can visit her website. Our most recent addition is Jason Palmer. 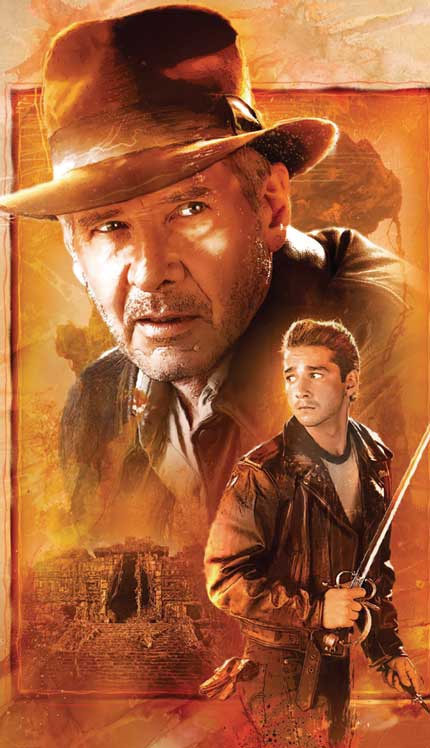 His work, be it Indiana Jones, Serenity or Battlestar Galactica, is mind-boggling. I had the chance to meet him in San Diego at Comic Con and cannot stress enough what a talented and great guy he is! Our most recent submission is from Nick (UK). 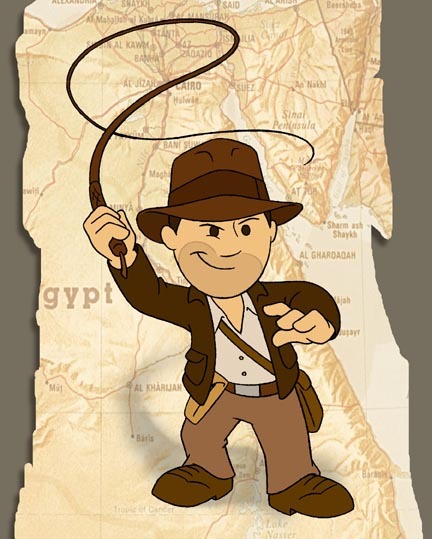 This Indy fan that shows his fondness for Indy collecting through creating toys and action figures that were never made. 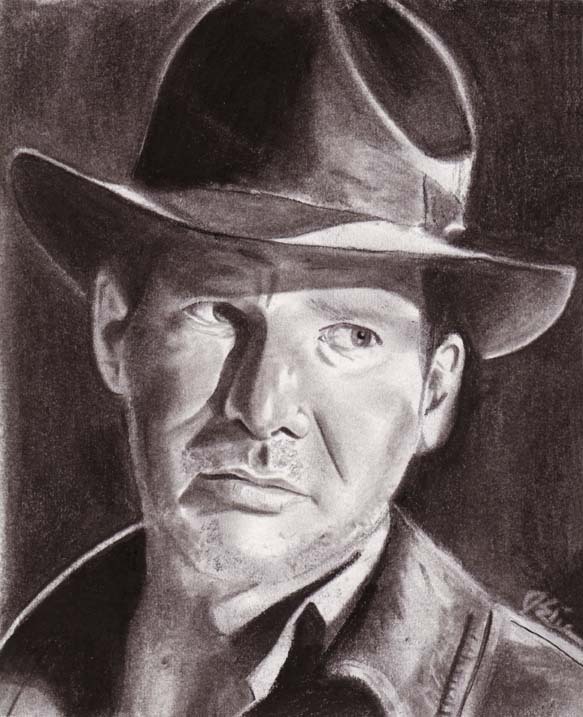 Today's submission is from Gabe Farber - another Indy fan that shows his appreciation of his hobby through art. 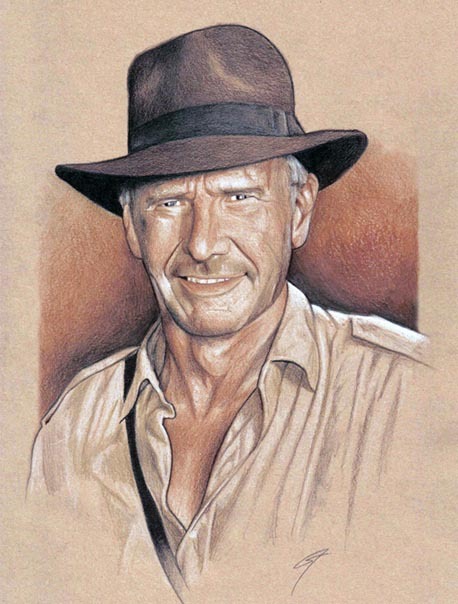 A self-admitted fan of Drew Struzan (who isn't?) - view his art and stare in wonder. We are surrounded by talent! Skilled with pencil and paint, Trevor Grove is now turning his artistic passion to sculpting. 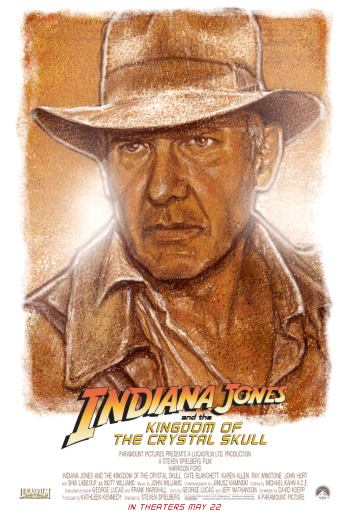 Check out our newly launched page dedicated to his fantastic Indy portfolio. 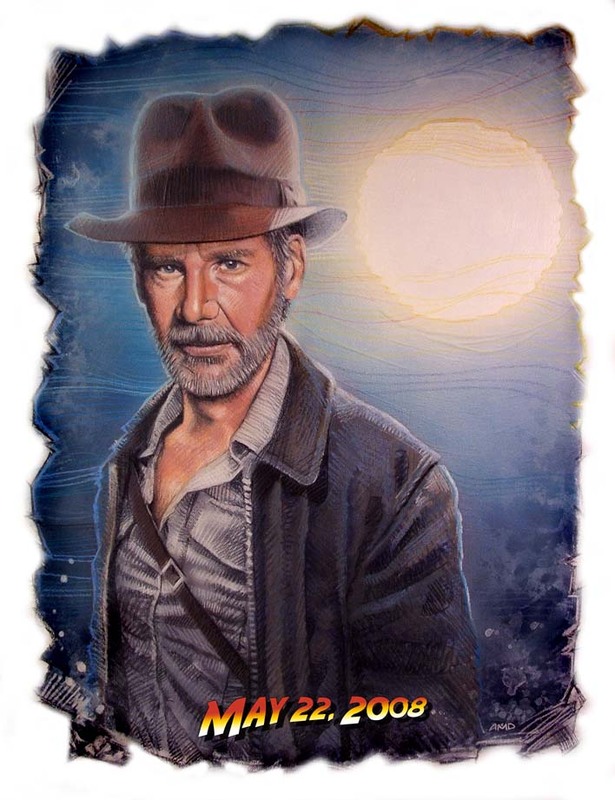 I'm a huge Drew Struzan fan - but this is a close second! 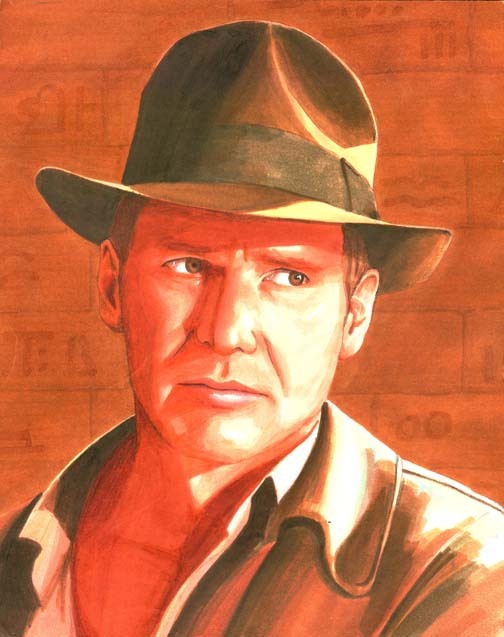 Check out the art of Paul Shipper, a freelance illustrator located in Manchester, UK. 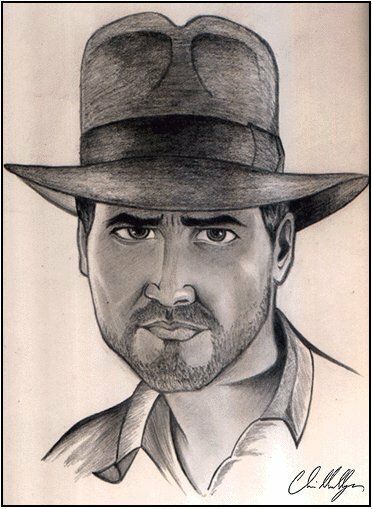 All images posted are with full cooperation and permission of the artist(s). Copyright © 2006-2014 Les J. David. All Rights Reserved.